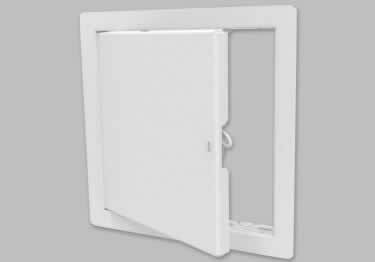 Economical Universal Access Doors for use in walls & ceilings in condominiums, apartments, & office buildings. Ten Sizes. On sale now, 10% off regular price. Starting at $22.08. Good for any flush surface. 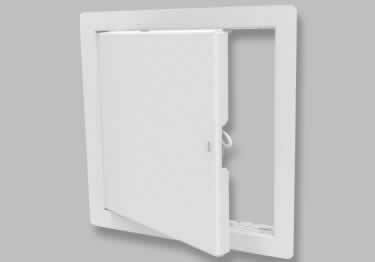 Doors have galvanized steel construction that performs well in exterior/corrosive applications. On sale now, 10% off regular price. Starting at $26.31. 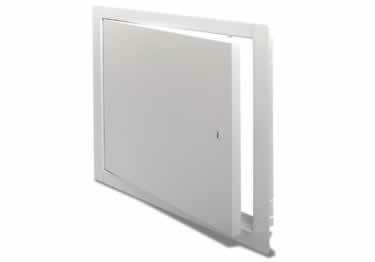 Architectural White Metal Access Doors with Drywall Bead Flange are available in 11 sizes and come in four latch options. On sale now, 10% off regular price. Starting at $24.33. 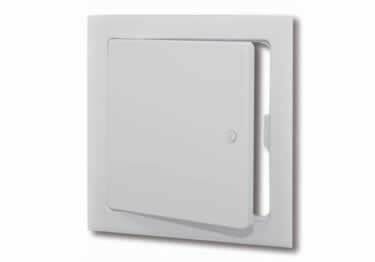 Get superior strength and design with these 1" Exposed Flange White Metal Access Doors, 17 size options and 4 latch options. On sale now, 10% off regular price. Starting at $20.04. 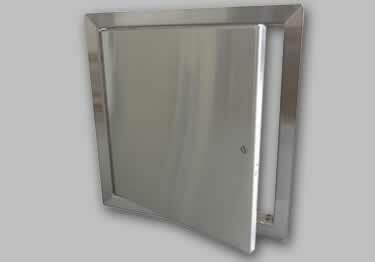 16 Gauge 304 Stainless Steel Access Doors have superior strength and design, 8 size options. 4 latch options. On sale now, 10% off regular price. Starting at $55.78.